Brynn Jones, a model and the owner of Aralda Vintage—a shop that sells well-curated eclectic clothing in Hollywood—and Ness Saban, an independent film distributor, met at a party about eight and a half years ago. He proposed about a week after their six-year anniversary. “We planned a last-minute trip to Big Sur to celebrate six years together,” Brynn remembers. 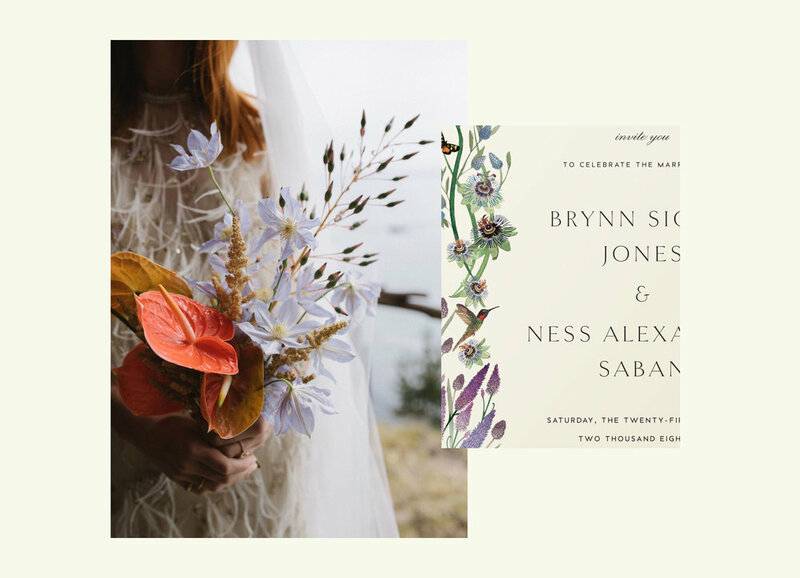 “Apparently, Ness had just recently told his parents that he wanted to marry me, but didn’t know when he was going to propose.” That Friday, the plan was for Brynn to meet Ness outside of his office so they could head out to Big Sur together. “But he wasn’t there when I arrived, and when I called him, he said he ran out to ‘put air in his tires.’” Brynn later found out that Ness had just decided he wanted to propose on the trip, so he ran out to buy a simple gold band at the last minute. The day of the wedding it was overcast, the sky mostly white. The ceremony took place cliffside. A string quartet played while guests—who’d been instructed to wear dusty colors and lots of prints—arrived. The ceremony’s officiant, Cantor Walfish, Ness, and the brides and grooms’ families walked out to a slowed-down version of “Dreams” by The Cranberries. “That song is about falling in love, and one of the all-time greats if you ask me,” Brynn says. Originally, Brynn and Ness were going to flip a coin to decide who would say their vows first. But a couple of days beforehand, Brynn asked if she could go first—after thinking it over, she realized her husband-to-be would be a hard act to follow. After the service, guests gathered for a family style meal comprised of locally sourced food: summer squash ravioli, lamb, halibut, and delicious sides like roasted piquillo peppers and butter beans. 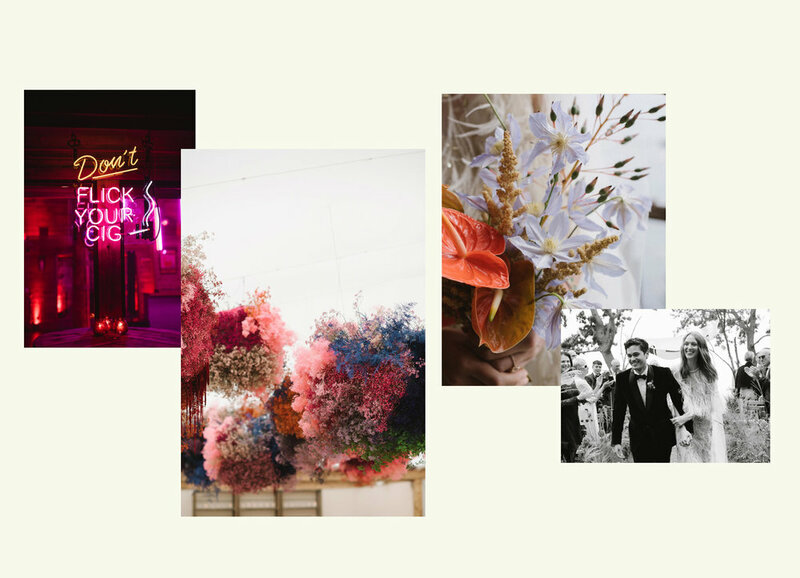 Event Design – Oren Co. Photography – The Wedding Artist Co.